On Saturday, November 10, 2018 The Marine Corps celebrated its 243rd birthday. Not only does the Corps not show signs of slowing down – imagine if it were your 243rd birthday – but it has actually grown stronger and more robust with each passing year. (Prior to the year 1921, the birthday of the Marines was celebrated on different dates. However, formal commemoration of the birthday of the Marine Corps began on 10 November 1921.) That is because of the men and women who serve and because the USMC has recognized that in order to grow stronger as an institution and continue to protect this great nation, it has had to adapt. Let’s take a little time to look back at the past, present and future of our illustrious organization as it continues to keep the nation we love free. The Marine Corps began back in November 10, 1775 when two battalions of Continental Marines were in Philadelphia to serve as a branch of infantry troops capable of fighting both at sea and on shore. Thus, the idea of being able to adapt has always been a part of the character of the Marine Corps. Since then the Marines have served in nearly every conflict in United States history. The men and women there have distinguished themselves in actions such as the Barbary Wars, the Mexican American War, Spanish American War and of course World Wars I and II. While this date does not occupy the public consciousness as much as a day like Memorial Day or Veterans Day, celebrations honoring the birthday of the USMC are abound all throughout the nation. Since 1925 birthday celebrations, formal balls, dances, sporting events and even mock battles were held to commemorate the holiday. Today, celebrations range from parades to other special events all across the nation. So, it is with great pride that we honor the birthday of the Marine Corps an institution that only grows stronger, leaner and more efficient every year. It does so through the contributions of technology, improved training and of course, men and woman who desire to better themselves while protecting our great nation. However you decide to recognize and honor this historic benchmark, we have Marine Corps gifts you can give to veterans and active duty personnel. We are supported by veterans and all our products are made here in the greatest nation on earth – The United States of America. · FedEx: FedEx was founded by Marine Corps veteran, Fred Smith. Currently FedEx is the 10th-largest private employer in the United States. · Wal-Mart: The world’s largest company was founded by a former Army intelligence officer named Sam Walton. Walton achieved the rank of captain. His brother Bud was a bomber pilot for the Navy in the Pacific. GoDaddy: This company, which registers the overwhelming majority of web domains, was founded by Marine Veteran Bob Parsons. Parsons served in Vietnam and earned a Combat Action Ribbon, the Vietnamese Cross of Gallantry and the Purple Heart. He has written on his site that he would not be where he is today without the Marine Corps. Enterprise Rent-A-Car Company: Headquarted in Clayton, Missouri, this rental car giant was founded by Jack Taylor, a decorated Navy pilot who served in WWII. All these men have gone on to found or cofound successful businesses from lives that begin with service to the nation. All have been proud members of the country’s armed forces and would not be where they are without those years of service and the skills that the military instilled in them. All run their companies with that same pride. We too are proud members of Disabled American Veterans, Veterans of Foreign Wars and the Marines Corps League. Show your pride by displaying our USMC hats and other merchandise from our eagle globe and anchor store. Anyone who has ever served knows that physical fitness is a never-ending journey. It is not simply a goal that once met can be ignored. Marines in particular dedicate themselves to a lifestyle that means that they must physically challenge themselves 365 days a year. However, when it comes to exercising outdoors the desire to challenge oneself must be weighed against the possibility of injury. This is especially true of engaging in outdoor exercises during the winter. The cold can make muscles more prone to strain and other damage. So that you can enjoy the exhilaration of outdoor exercise while keeping your workout routine safe and effective, we would like to offer you some of these tips. Check weather conditions and wind chill: According to experts, wind chill levels below 18F (minus 28C) can cause frostbite to occur on exposed skin in 30 minutes or less. Thus, it is always a good idea to get the forecast before exercising outdoors during the winter. Know the signs of frostbite and hypothermia: The early signs of frostbite include numbness, loss of feeling or a stinging sensation. Hypothermia occurs when the body loses heat more rapidly than it can be produced. In both cases you should get indoors immediately. Dress in layers: In order to find the right layer of clothing you should wear during outdoor exercise, try some experimentation. Dress warmly but not too warmly as you may need to remove some layers of clothing if you begin to perspire too much. We have a Marine Corps jacket and other Marine Corps gifts such as hats and sweat pants that can keep you warm as you express your pride. Stay Hydrated: Simply because you are more prone to produce more sweat in the warm months than in winter does not mean that you should ignore your body’s requirements for water. Your body needs to replenish fluids lost during intense workouts regardless of whether it is warm outside or not. Remember to warm up prior to exercising: Warm muscles work more efficiently and are less prone to strain than muscles that have had not been stretched. Try walking for a brief period prior to working out. In short, there is a certain sense of exhilaration involved in exercising outdoors during any season. But even the most dedicated among us must take certain precautions to ensure that doing so does not put one’s health at risk. But what about the origin of the word? That is widely disputed too. According to leatherneck.com, the first use of “OO-RAH!” by the Marines was after the Korean War (1953). Legend has it that in this context the word “AHUGA!” was morphed into the shorter “OO-RAH!” While this history is generally accepted by those of us who have or are serving in the Marine Corps, some claim that its origins can be traced to sources as varied as Middle High German (1580-1590) to the Ottoman Turkish phrase “vur ha” which translated means “strike” or “forward.” Others claim that the origin of the word dates back to the Ancient Hun or Mongolian Empire word for “hurray.” Whatever its origin, Marines automatically know that the cry is a source of pride and inspiration. 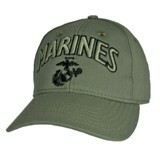 So too are our USMC hats and our Marine Corps products online. They are embossed with symbols and phrases which communicate to others the pride you feel in an organization that has been the key to American independence since the Marines were formed in 1775. All of the mystery around the word adds to the rich history of the Corps. It is one of the many things that makes those of us who have served proud of that service as even civilians are inspired by this call to action and acknowledgment of pride. Show your pride by wearing some of our clothing including hats, buttons, outerwear, jewelry, etc. This year many of us faced an absolute bear of a summer. Record temperatures were recorded all across the country and those of us with common sense responded by moderating our exercise and by dressing appropriately. However, as summer nears its nadir, we would all be better off thinking ahead to fall. Our Marine Corps clothes suited those of you who wanted to keep cool during the oppressive heat of the summer and our Marine Corps clothing can help you adjust to the soon to come drop in temperatures. Our outerwear such as our hoodies, jackets embossed with the Marine Corps emblem and other clothing can keep you warm while making a statement about your patriotism. Here are some general tips you may wish to use to prepare for the approach of fall. Wear layers: Coats, jackets and sweaters worn in combination can help you retain your body heat and avoid succumbing to wind chills. Use headwear: We lose much of our heat through our heads. A well-fitting hat or knit cap can do much to help us retain vital body heat. Wear textured fabrics: Most textured fabrics such as Corduroy, tweed and wool are naturally warm. Choose the right fabrics: Closely related to texturing is choosing the right fabric. Light breathable fabrics are not appropriate for fall and winter. Wear sweaters, jackets, etc. : We have a variety of Marine Corps jackets, crew neck T-shirts, long sleeve shirts that are well insulated and that will also show your esprit de corps. Upgrade your underwear: Insulated long johns can go a long way towards making a winter day or night more comfortable. Use more accessories: Use items like scarves, bandanas, knit hats, gloves, etc. to accessorize as well as to keep warm. Break out the boots: Boots can be stylish and practical for when the rain and snow begin to fall. Yes, eMarine PX is a one stop shop for people who wish to show their devotion to the Corps year round. We would not dare think of leaving our active duty service persons and veterans without a wide variety of options as the summer leaves us. You can easily find clothing that is appropriate for all seasons as well as gifts such as decals, stickers, jewelry, keychains, flags etc. Don’t get caught off guard. Gear up for fall early. The long anticipated summer is finally a week or so away. Joggers, motorcyclist, bicyclist, skateboarders and hover board riders are filling the roadways and public parks. However, along with all the joys of summer and warmer weather there are also dangers present for those of us who love to exercise outdoors. Two of those dangers are heat exhaustion and heat stroke. Here are some precautions you should take against the heat of summer. Carefully plan when you will be out: Generally speaking, the hours between 10am and 3 pm are the hottest times of the day. Plan your workouts to avoid these peak hours especially if a heat alert is in effect. Drink extra water: Whether you are indoors or outdoors in the heat, you should take extra steps to stay hydrated during the summer. It is recommended that you drink a little more than twelve-and-a-half, 8-ounce glasses a day. Know the symptoms of heat exhaustion: These symptoms include vomiting and nausea, excessive sweating, low blood pressure, moist and cool skin, a weak pulse, fatigue and weakness, blurred vision, strong thirst, and rapid breathing. Wear loose comfortable clothing: At eMarinePX we have Marine Corps clothing that lets you dress down for summer but still show your pride in the Corps. Our Marine Corps clothes include cycling outfits and ball caps with the Corps emblem as well as T-shirts. Avoid caffeinated beverages and alcohol: Having a Coke or Pepsi may seem like a refreshing way to cool off after a workout but these kinds of drinks act as They actually cause fluids to leave your body rapidly. Alcohol is also a natural diuretic and has the same effect on the body’s hydration levels as caffeinated beverages. Take frequent breaks during physical activity: Help your body adjust to the stress of warmer weather by taking frequent breaks particularly when you are working out. Be careful with medication: Certain medications affect your body’s hydration levels. These medications include high blood pressure and heart medications, allergy medications, tranquilizers. Take the time to determine whether any medication you are taking has a diuretic effect. We know how people who are currently in or who have been in the services endeavor to maintain their fitness levels, but heat stroke and exhaustion can affect any of us during the dog days of summer. It is therefore important to know the signs and symptoms of heat stroke and exhaustion in order to protect your health and the health of loved ones.